Use code RWDEKKO18 for 30% off annual subscriptions. Buy Here! Note prices quoted in British Pounds but you can pay in dollars. Shouldn't learning be fun? The folks at Dekko Comics think so and so do we! 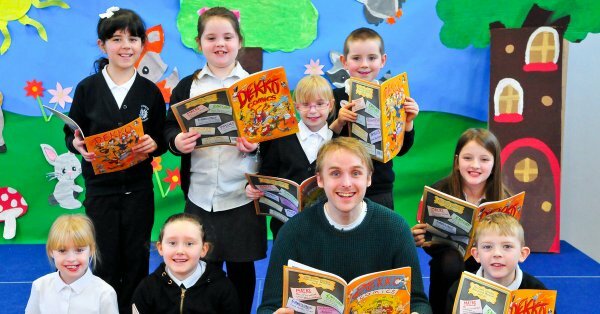 Based out of Glasgow Scotland in the U.K., Dekko produces hard copy comics that turn dreary school curriculum into engaging fun, smashing motivational barriers to reading and learning—something especially helpful for those with dyslexia. 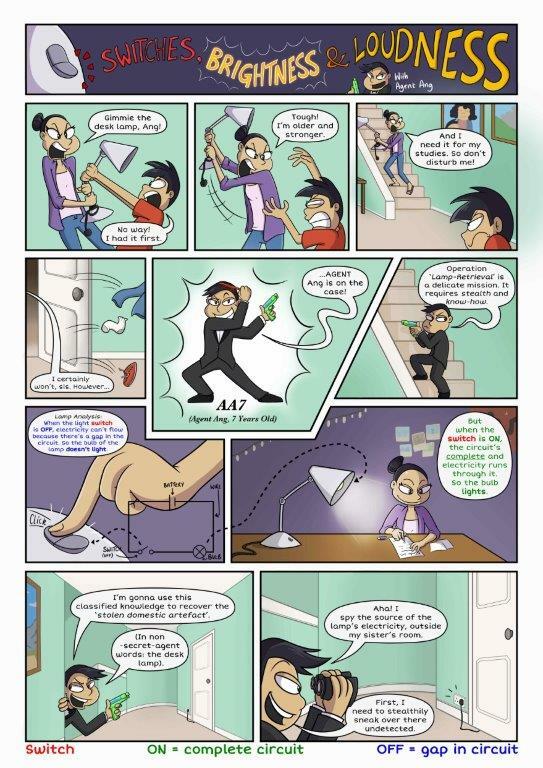 The comics use a creative study technique that the founder Rossie Stone used in his own school years as a solution to a long struggle with dyslexia. 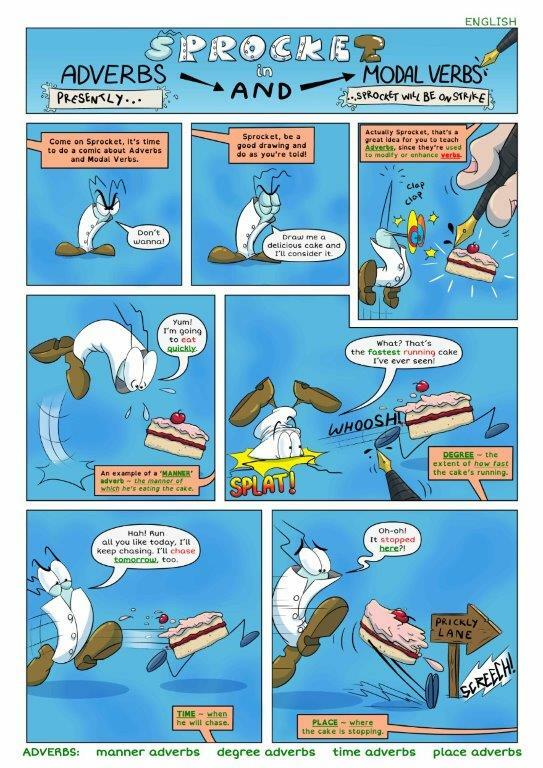 In 2015 Rossie converted his technique into comics that can help others, launching an entertaining-education business. A highly successful 2016 Kickstarter campaign rocketed the first two editions to the presses in September 2016. Dekko Comics founder Rossie Stone and some happy readers! How do the comics teach? From reading to math to science and history, Dekko uses fun story lines, and creative characters to teach important facts and concepts. Check it out for yourself below, and note the use of color coded legend at the bottom of each page, helping students extract the most important content! For more samples visit here. Dekko comics were tested in six different schools before being officially released to the public. Response was overwhelmingly positive. Participants found the comics "engaging, clear, and memorable resources". Hi, my 14 year old daughter has loved your comics and is learning from them as a consequence. I have been watching Amazon for your next issue and have just found your FB page which says you’re going monthly! Well done! Please could you advise how I can organise a subscription, thank you? I just finished reading [Issue] No4 and OMG you are a genius! I love it. I shall use several of the pages for teaching this week! I am a secondary school Support for Learning leader and I absolutely LOVE these. Rossie produces colourful, fun, engaging comics on such a huge variety of topics. 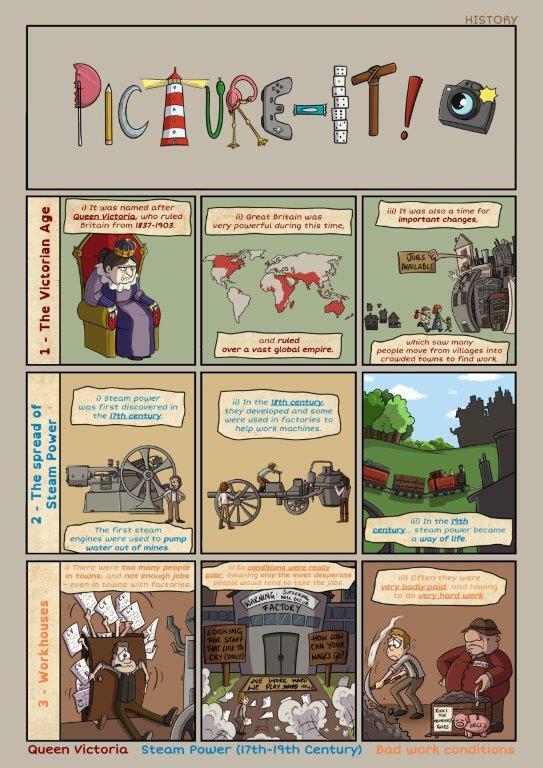 They are a brilliant addition to school and home revision resources. The feedback from the children has been completely positive and they seem to have appealed to all kinds of people ... readers looking for humour are giggling but also coming to tell me what they’ve learned; and non-fiction fans absolutely love them wholesale. Fantastic! So visual, appeals to all styles of learning, especially visual learners. Great that the comics include even the ‘unpopular’ subjects – French! Special Deal for Reading Well Visitors! Reading Well visitors are eligible for a generous 30% discount on hard copy Dekko one year subscription purchases. Just click on the button below. 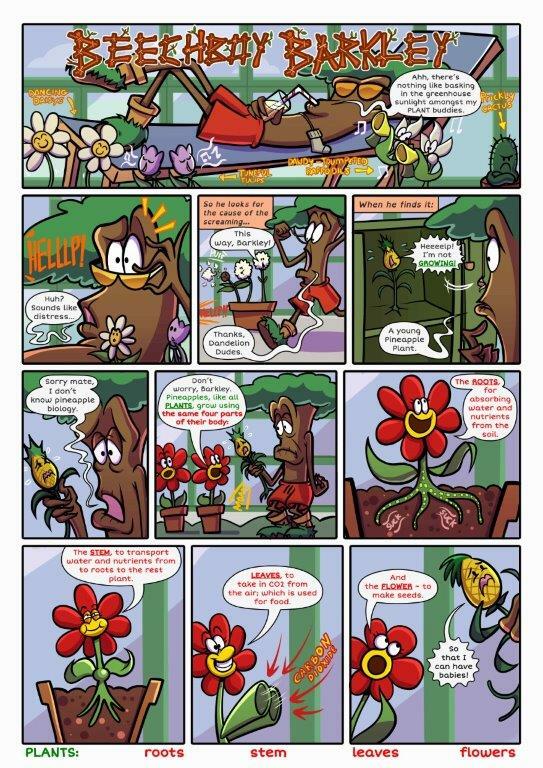 What you get: The latest Dekko comic issue mailed to your home or school every month for 1 year, starting with the month you begin your subscription! Each comic contains stories from Dekko's beloved character list, covering a mix of subjects per issue: such as Math, English, History, Geography, Physics, Biology, Chemistry, and Language arts.